Blockchain was described in Satoshi Nakamoto’s white paper “Bitcoin: A Peer-to-Peer Electronic Cash System”. The eight-page document describes the basics of Bitcoin — world’s first cryptocurrency based on blockchain technology. Contracts, transactions, data storage and management are the fundamental elements in the economic, legal and political systems of the world. All this data plays a major role in protecting assets and setting organizational boundaries. It is used to protect our rights, defend and verify our claims and actions, and preserve the truth in history. Relations and any kind of interaction between countries, organizations, communities and individuals is built on contracts and agreements. This important data directs and regulates economic and social processes in our lives. Unfortunately, all these major management and accounting tools are still a part of a massive bureaucratic machine that does not keep pace with the digital transformation of all the economic and social processes around us. In the digital world, the tools we use to regulate and support these processes are longing for improvement. And the blockchain technology is designed to solve this problem. The blockchain technology, which Bitcoin and most other digital currencies are build on, is an open distributed ledger that can efficiently record and manage transactions between two parties, maintaining the quality, integrity and accuracy of the data. The ledger itself can also be programmed to carry out these transactions automatically in the form of smart-contracts. The open ledger is built in a way that you can always get information on all the participants and digital transactions that have ever been conducted on it. The information in a blockchain is distributed among the network participants’ computers, which are called “nodes”. These nodes maintain the network, and the more information there is in a blockchain, the more participants are needed to support the network. The main features of the blockchain include its simultaneous openness and anonymity. All transactions on the network are completely open for viewing, and anyone can check the entire transaction history at any time. At the same time, the information about the sender and recipient will remain private. Simply put, the essence of the blockchain technology lies in the distributed storage of information without the possibility of changing it. Each participant gets access to the blockchain using special keys unique to each user. The blockchain key is a special set of cryptographic entries and is virtually impossible to crack. The only way to circumvent such protection is to gain control over most computers on the blockchain network. For many, the word “blockchain” is still associated with cryptocurrency. However, the business has been eyeing the technology for a long time and is gradually introducing it in their own systems. Every day the media is filled with new information, new stories about the blockchain technology and its applications, and the trend has long moved beyond the digital currencies. education systems and many other fields. In blockchain each created record, each block, is linked to the previous one, like train cars. The block is the “predominant” element of the blockchain, which keeps records of transactions, and after they are completed, the block is added to the blockchain. Blocks are added in a sequence and depend on each other. Each new block contains the hash of the previous block. The new block starts to be generated as soon as the previous block is added to the blockchain. Blockchain allows every online user to verify transactions. Each user has an identical copy of the ledger, and any changes in the blockchain are reflected in all copies every minute, and in some cases, every second. The use of cryptography to generate keys and signatures guarantees the security and integrity of data and ensures that only the owner of this data has access and control over it. Blockchain provides a highly efficient and secure method of data storage and management. This is an online registry of transactions that cannot be changed. Blockchains can be public or private. Public blockchain is an open database where each participant can view and enter data. This is the way Bitcoin works. Private blockchain is a database with write and read restrictions. Its most common subclass is exclusive blockchain. In this case, the right to view and enter data is assigned to specific participants. This type of blockchain is most suitable for businesses and governments. Since the data in the blockchain is distributed among all network participants, your cryptocurrency, tokens or any other information is not stored directly on your wallet, device or server. In fact, this information is tied to your private key, which you can use to authorize transactions from your particular account. Each transaction is checked by the entire network and only after it’s verified, it is recorded in the blockchain. Now let’s take a closer look at how blockchain actually works. The unique hash into which this data is encrypted. Each block can contain data about hundreds of transactions, which are encrypted using a combination of letters and numbers — a hash that is unique to each block in a chain. Also, each block contains the hash of the previous block, which, in combination with the hash of the new block, ensures that the data on the blockchain does not change and protects the network from attackers, since it is very easy for network participants to identify when the data in the block has been changed. This is how it happens: if the data in the block has been changed, the hash of this block will also change. And when the hash of any of the blocks changes, the block that follows matches the modified hash of the previous block with the one it contains, therefore, noticing the discrepancy. Since the blockchain does not work on one central server, but on a huge decentralized network of computers of many participants that are called nodes, each of them has a copy of the blockchain, and every time a new data block has to be added to the network, all participants check and verify its authenticity. If all nodes in the network confirm that the data in the block is correct, then a new block is added to the blockchain of each node. This process is called consensus. Therefore, in order to tamper data on the blockchain, an attacker will have to hack most of the nodes in the decentralized network and change the data on each of them, which is incredibly expensive and, in fact, deprives the point of attempting such hacking. This makes the blockchain one of the safest ways to store data today. Now let’s figure out how the transactions themselves are added to these blocks and what is the role of keys and signatures in this process. Each participant of the network has their unique public key and private key. Just like hashes, these keys consist of a random sequence of letters and numbers generated using cryptography. The public key is like your address, which you can freely show to other participants of the network so that they can send you transactions. While your private key serves as an access code for the contents of this address, therefore, it must be securely stored and in no case be disclosed to anyone. After all, having lost your private key, you will forever lose the information tied to your public key. Both public and private keys have their own unique properties. The private key is used to create a digital signature, which also consists of a sequence of letters and numbers and is used to conduct transactions. These digital signatures are verified using the corresponding public keys. This means that any participant of the network can verify the authenticity of the digital signature using the person’s public key, making sure that they were indeed the one who signed the transaction. Alice wants to add a record to the blockchain that she sent Bob $100. First of all, she signs this entry using her private key and thus creates a digital signature. This record in combination with the digital signature turns into a transaction. Then, the information about the transaction created by Alice is broadcasted to all participants of the decentralized network. After that, each node in the decentralized network verifies the authenticity of the transaction signature using Alice’s public key to verify that it was indeed Alice who signed the record. After it was verified by all the participants, the decentralized network includes Alice’s transaction in the new block. Once the participants have finished adding transactions to the block, all nodes verified their authenticity, and the network reached consensus, the block containing Alice’s transaction is successfully added to the chain. After the block has been added to the blockchain, the record that Alice sent Bob $100 cannot be altered by either Alice, Bob or any third party, and will forever remain in the immutable transaction history of the blockchain. Decentralization. There is no main server on the network. Each member of the system is a server that supports its work. Transparency and anonymity. Information about transactions is publicly available and is stored on each participant’s computer. This data cannot be changed. However, the identity of the sender and recipient are not disclosed. Scalability. This is only a theoretical indicator, however, it is believed that the blockchain can be infinitely filled, which is why the technology can be compared with a supercomputer. Reliability. Blockchain is considered invulnerable because of the principle of operation. To record a new block, it verifies information about previous blocks and requires consensus of all participants. So far there is no means, no computing power capable of tampering so many records at the same time. Since, speaking about the blockchain technology, we are primarily talking about decentralization, let’s take a closer look at what a decentralized system is. Decentralization technology allows us to store assets on a network that can be accessed via the Internet. There can be all kinds of assets from a token or contract to supply chain documents and property rights. Due to decentralization, the owner has direct control over their assets through the private key, which is directly connected with the assets they own. It allows the owner to transfer any asset at any time and to anyone. We at Suntri consider blockchain a powerful technology with huge potential for decentralizing the Internet. This technology has already proven itself, and there are many examples of this, but it has yet to bring significant changes to such industries as banking and finance. When this technology consolidates its position in these areas, people will have direct control over their assets, and will no longer need intermediaries who take huge transaction fees. The emergence of the blockchain technology has become a strong motivational impetus for banks, which already see what is going on and are actively preparing for the upcoming crisis, developing own technologies and improving services. The main idea of the blockchain technology is that a person no longer has to rely on any particular authority, government, bank, company or any other organization, since data traffic and related processes will occur in a distributed network maintained by all its participants at the same time. Contracts, identification documents, personal information and financial assets are only a small part of the data that can be stored and managed in the blockchain. Authorized users. The decentralized blockchain allows users to regain full control over their data and transactions, solving the problem of data manipulation. Fault tolerance. Decentralized systems have a significantly lower probability of accidental failure, as they rely on many individual components, rather than a central server. Durability and resistance to attacks. 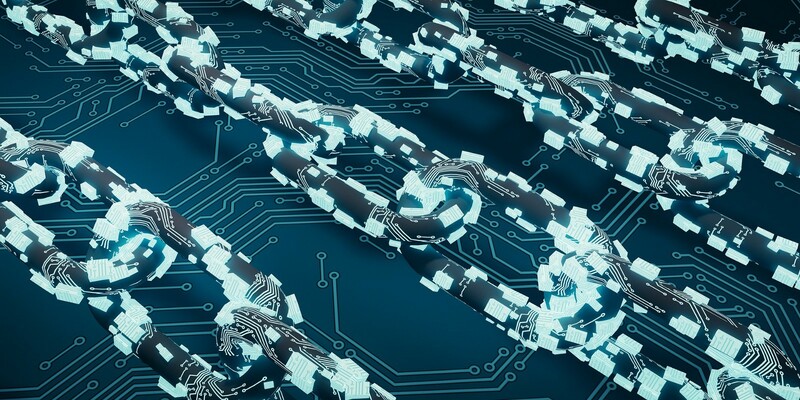 Since the blockchain does not have a central point of failure, the system is better equipped to withstand malicious attacks aimed at the destruction, manipulation or theft of data. Moreover, the attempt of such an attack will cost the attacker an incredible amount of resources, as they will have to hack not just one (central) server, but the computers of most of the network participants. Free from fraud. The technology is resistant to unauthorized access, data changes and malicious interference. The information in the blockchain is constantly verified and updated. The data is reliably protected, since the ledger is distributed across numerous nodes. Users of decentralized systems can not harm other users, and they will definitely not benefit from it. No third-party risks. Blockchain allows users to exchange data without mediation of a third party, thereby eliminating unnecessary risks. High transaction speed. Blockchain reduces transaction time to minutes, processing them regardless of the time of day and day of the week, unlike banks, which require much more time to process transactions. Reduced transaction costs. Eliminating intermediaries, the blockchain also saves users from overhead expenses, significantly reducing transaction fees. Transparency. Changes in open blockchains are visible to all parties. This level of transparency and immutability of the data allows to achieve trustless relations between the participants. Authenticity. The data in the blockchain is complete, consistent, timely, accurate and widely available. Easier to manage. All transactions are conducted in a single open ledger, which significantly reduces the confusion and complexity in comparison with accounting in several different registries. Securing property rights. Distributed ledgers open up new ways to secure property rights and control the origin of goods and intellectual property. Processes optimization and no intermediaries. The blockchain eliminates the need for intermediaries, since all these functions and processes are performed by the network itself. Thus, the blockchain significantly reduces settlement time for many payment transactions. Full understanding of the technology and its features will allow participants in any field to see the obvious advantages of its use. Depending on the problems and tasks, everyone will find a proper application, like combining security and centralized control with the convenience of use and optimized exchange of data between organizations and individuals. Today we see only the initial stage of development and application of blockchain technology. There are many things that the blockchain has yet to change. It is likely that the technology will really be able to fundamentally change many industries, making the processes more democratic, safe, transparent and efficient. Thus, today the blockchain has become an integral part of the world of fintech, the shares of which today are in trend on Wall Street. At first glance, it may seem that the existing payment systems perform their function reasonably well and do not require replacement. However, all our payments, all purchases, costs and savings pass through banks and credit companies, which take a considerable commission on each of our transactions. Moreover, the size of commissions for the transactions is constantly growing, which is not always justified and is not quite suitable for users of these services. And the fact that the data stored on your account can be easily accessed by the state seriously undermines such systems. Exactly this problem Bitcoin (BTC) is trying to solve. Bitcoin is a decentralized cryptocurrency in which all the transactions in the network are recorded and conducted on the blockchain. This model excludes the presence of intermediaries in the system, since transactions are carried out directly between the sender and receiver, the buyer and the seller. 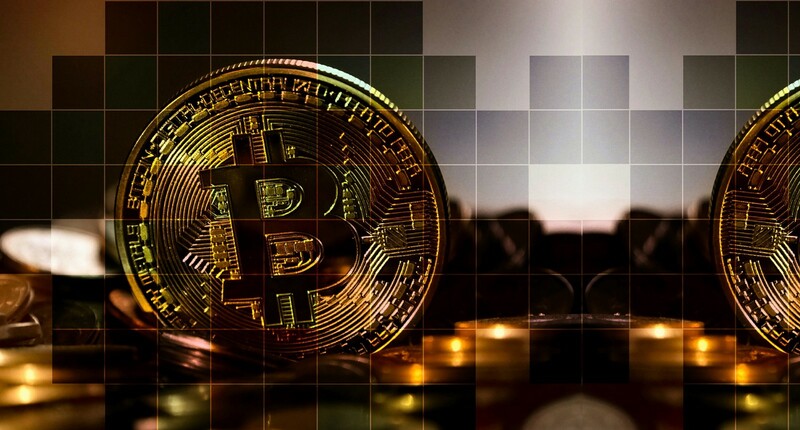 Bitcoin is a completely decentralized digital unit, which is rightfully called “the money of the Internet.” By the word “decentralized”, we mean that the Bitcoin network is not regulated and not controlled by any particular authority. The networks is supported by its nodes, which verify and confirm every transaction. Network decentralization is the main goal of Bitcoin, which was created in 2009 by an unknown programmer under the nickname Satoshi Nakamoto. Maximum amount of Bitcoins (emission): 21 000 000 BTC. The limit allows to avoid inflation. Bitcoin must not be regulated by anyone. Bitcoin emission must not be infinite. The cost of a coin depends directly on the demand. The Internet has changed our lives, opening up access to an easy and limitless exchange of information, and the next stage of its decentralization has already begun. By triggering a paradigm shift, blockchain technology can have a real impact on the industry and lead to significant changes, making information exchange processes more democratic, safe, transparent and efficient. The potential consequences of the widespread use of blockchain technology for our society, states and business cannot be overestimated. Today, the entire progressive world is switching to blockchain: the financial sector, business, medicine, education, art, and even politics. Blockchain is applicable anywhere, because the technology has many obvious advantages: anonymity, transparency, convenience, reliability, protection against corruption and counterfeit, as well as cyber attacks. Development of new blockchain solutions and their implementation in business is one of the key trends today. Like any new, revolutionary technology, the blockchain is faced with some resistance so far, as it radically changes the usual structures, processes and routines. Nevertheless, the “law on new things” still works: to get something that you never had before, you need to do something that you never did before. And now is exactly the time to introduce blockchain into business and invest in those who are actively involved in this process, because the considerable majority of economists today are predicting huge growth for such companies in a couple of years. Cryptocurrencies were only the beginning, the blockchain technology itself can find many applications in other areas, providing transparency in systems and reducing transaction costs, third-party risks and processing time. As the technology gradually approaches its ubiquity, participants in virtually every sphere begin to realize its real potential. The blockchain sets an important trend for change in many areas, and as the technology grows, we see the world moving towards decentralization. Thus, the number of intermediaries is decreasing, while systems are becoming safer, faster and more transparent. Still, the main question among blockchain communities today remains the same: Does the world need many private blockchains or one global to unite them all?